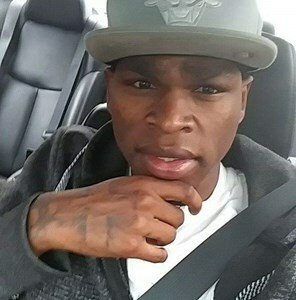 Kendal Wilson, 27, of Topeka, passed away at his home on November 4th, 2018. Kendal will always be remembered for his courage and strength during difficult times. We know he is at rest and in peace now without pain. He leaves behind his children, Jaukendall, Nathan, Jacob, Justice, KJ, and his 2 month old daughter Aries. He also leaves behind his wife Danielle Smalley, his mother Tracy Thomas-Wilson, father Roe Wilson Jr., brothers Dominic Thomas and Roe Wilson III and sisters Neisha and Angie Wilson, his maternal grandparents: Reba Swinney and Elliott Swinney, III and Roma E. Turner and Belinda Turner, as well as all of his friends. He was preceded in death by his maternal great-grandmother Ora M. Thomas, his maternal great-grandfather Edward A. Thomas and his great-uncle Dennis Thomas. Add your memories to the guest book of Kendal Wilson. Kendal sorry it took so long im still in disbelief.. we got so many memories from fights cars getting towed man you stayed in some drama . And when i got you on at wendys and you goofy outburst i seen you smile alot so im sad about the situation so rest up and watch over us . Love you grandson you have fault a great fight. You will be missed. Your great smile and laughter has been silent to the heavens. May you rest in peace and no more pain and battles to fight. We love you and your memory will be with us always. REST OUR KENDAL, REST UNTIL THE DAY OUR HEAVENLY FATHER WILL WAKES US UP ONE MORE TIME. Say KENDAL I KNOW YOU HAD A LOT GOING ON IN YOUR LIFE YOU WANTED TO GET IT ALL TOGETHER FOR YOUR KIDS GIVE THEM THE LIFE OF THEY CAN HAVE THE WORLD AND EVERYTHING IN IT BUT LIFE CAN BE FICKLE . I remember the times we had together. You was my lil brother.We was Bonnie and Clyde bruh. We was unstoppable . I remember when I first let you drove me around cause I was drunk. I still got the songs me u and Jay and Wendy made together. I will miss u my brother. It seems so unreal. They say you never suppose to ask God why but I know he needed you more than we did. Your son is in God hands. I will always be my brothers keeper???????? I remember you as a young man chasing your brother around. You will always be in my heart as well as your family. Love you man and will miss you. I'm not sure I'll see you again. You took a chunk of my heart when you left. I'll never be the same. I love you to death. I'll never forget all the times that we shared the good, bad, and ugly. Lol from you getting us jumped to all the private talks we had. Our bond was so special and I promise to look after your babies as if they're mine. I love you so much. I will see you later. Boy, Boy,Boy the memories I've had with you! I remember the first time I met you. We we're picking u up from Mobile u had a black Du-Rag white T-shirt and black jean.s Had gotten a lil height on you but not too much, u come out with that little crooked smile just cheesing and ready to go! No matter where u were u ALWAYS managed to keep in touch with me. I'm so sorry brother from the times when u would call and I would just be too busy. Never asked for anything but im sure goin to miss hearing u say, "Suh I got a girl u gotta meet her!" Or " Suh when I come back down I'm staying witchu" Little Brother I Love U So Much my next tat after my Grandma is u baby LLKendal! You Will Forever Be My Protector Big Brother. I Will Cherish The Time We Shared Together . You Are My Heart. I’m going to miss you so much bro. When you left, a piece of me left with you. I promise you that we will always be there for your kids and you will be always missed. I love you bro. Kendal Wilson was like a brother to me.he will always be in my heart love u till we meet again ????? RIH cousin, wish I would have got to meet you.